General Hospital (GH) spoilers reveal that we’ve got some important comings and goings news to pass along. In a new episode of Daytime After Dark, info surfaced about some GH returns. Nathan Varni, a prominent ABC exec, had plenty to say about who’s coming back to Port Charles. For starters, Varni hinted that Genie Francis (Laura) could return down the road. He revealed there’s an interesting plot planned for her and reminded everyone that she’s still a recurring player on GH. General Hospital took some serious heat when Francis’ contract wasn’t renewed. Laura was sent off canvas during the middle of a huge story, so the ABC definitely needs to correct their error. Francis’ agent issued a statement saying that in order for her to return, the circumstances would have to be ideal. She’ll need a great story that fits in her schedule. No one would blame Francis for being bitter about the situation, but she may have cooled off a bit by now. Since GH writers are supposedly cooking up something amazing, Francis won’t be able to resist a return. 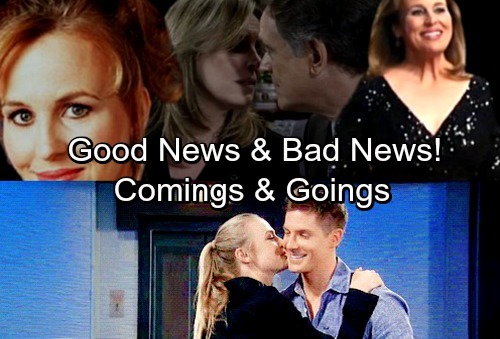 This announcement by Varni coincides with CDL’s recent report that a SOD blind item on a returning star was a veiled reference to Genie Francis. 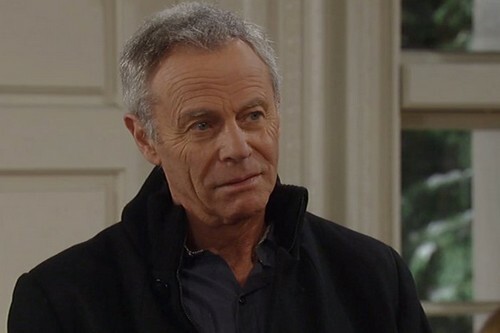 Other General Hospital spoilers say Tristan Rogers is returning as Robert Scorpio. Varni wouldn’t divulge the details of Robert’s next stint, but it looks like it could come just in time for May sweeps. Robert’s arc might involve something connected to Faison (Anders Hove), Peter (Wes Ramsey) and Anna (Finola Hughes). Regardless, many GH fans will be glad to see him again! Unfortunately, there’s one star who won’t be back anytime soon. Varni admitted that there are no plans to bring Dillon (Robert Palmer Watkins) home at the moment. General Hospital sent Dillon off to California, where he promptly lost interest in Kiki (Hayley Erin). 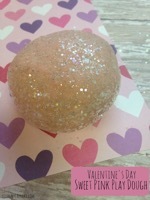 They trashed a popular pairing, which is a real shame! Nevertheless, there’s always hope for the future. Whether Dillon ever reunites with Kiki or not, we need more Quartermaines in PC. Maybe the show will have a change of heart eventually, but everyone will just have to get along without Dillon for the time being. It sounds like Danny will stick around to deal with all his family’s drama. We’ll give you updates as other General Hospital details emerge. Stay tuned to the ABC soap and don’t forget to check CDL often for the latest General Hospital spoilers, updates and news.